Join Lightning 100 for an old school game, with a new school twist! It's Beer, Bands, and Bingo, every Tuesday from 7:30-10:00pm at Two Bits on Demonbruen! Join Lightning 100 for an old school game, with a new school twist! 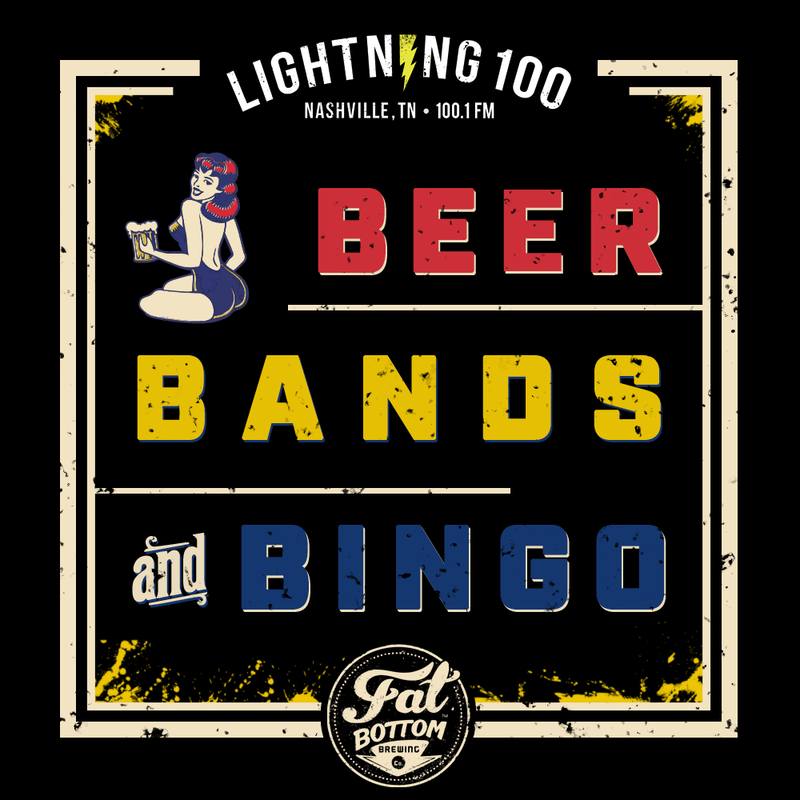 It's Beer, Bands, and Bingo at Fat Bottom Brewing in the Nations, every Tuesday. Come out and play bingo for your chance to win sweet prizes and enjoy the awesome drink specials! Whenever you arrive, pickup your bingo card at the DJ booth for you chance to win prizes after each game. Registration Deadline: No registration required. Just show up and ask for your bingo card! Children Policy: Fat Bottom Brewing in the Nations is a full service restaurant and children are welcome. No registration required to attend. Just show up with friends, or make friends along the way!